This Demonstration calculates the tension required to pull a cart with an acceleration that you vary with a slider. 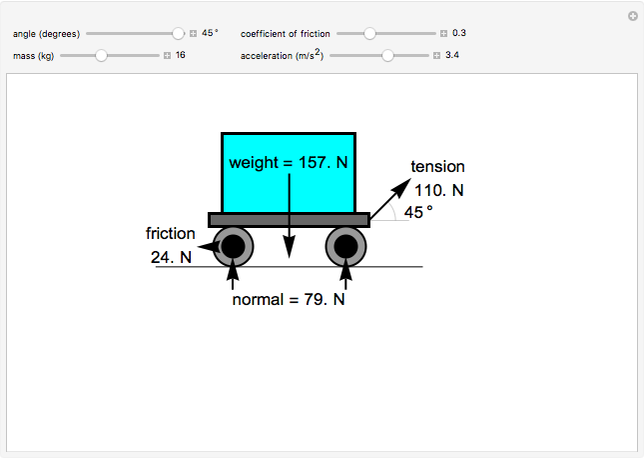 Force balances and Newton's second law of motion are used to calculate the tension, normal force and force due to friction. 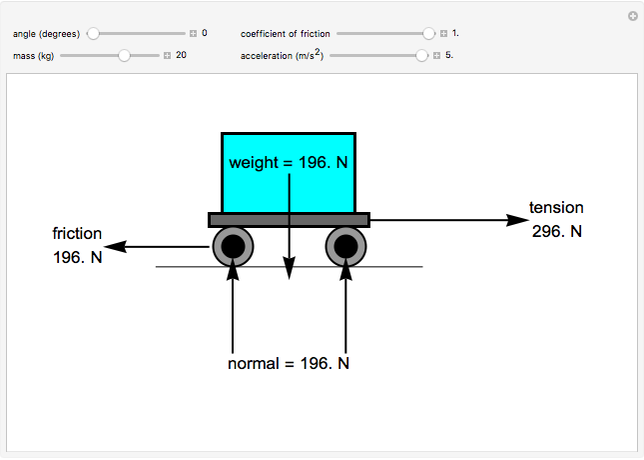 Use sliders to change the angle of the cable used to pull the cart, the mass of the cart and the coefficient of friction. Rachael L. Baumann "Force Balance on a Moving Cart"